The Union Government has signed US $250 million loan agreement with World Bank for “Skills Acquisition and Knowledge Awareness for Livelihood Promotion” (SANKALP) Project to support livelihood. World Bank’s International Bank for Reconstruction and Development (IBRD) will provide the loan. India and Australia held their first ‘2+2 dialogue’ in New Delhi and highlighted need to maintain Asia-Pacific region as a “free” and “open” zone. India ranked 109th out of 122 countries in the mobile internet speed and 76th out of 133 countries in broadband space in the November 2017 Speedtest Global Index. The index was prepared by internet speed testing service provider Ookla. India is planning to hold talks with Association of Southeast Asian Nations (ASEAN) countries to extend India-Myanmar-Thailand (IMT) highway up to Vietnam. As per proposals from India, the 1,360 km long IMT highway from Moreh in India to Mae-Sot in Thailand can be extended to Vietnam via Laos and Cambodia. India will host third Annual Meeting of the Board of Governors of Asian Infrastructure Investment Bank (AIIB) in Mumbai, Maharashtra in June 2018. The theme of the annual meeting is “Mobilizing Finance for Infrastructure: Innovation and Collaboration”. Sri Lanka has formally handed over its southern strategic port of Hambantota to China on 99-year lease. Two Chinese firms managed by China Merchants Port Holdings Company (CMPort) and Sri Lanka Ports Authority will own port and the investment zone around it. 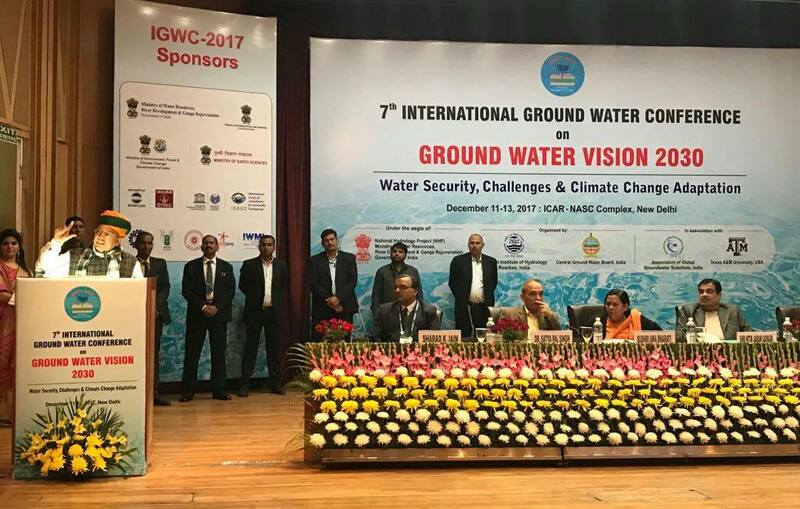 The 7th International Ground Water Conference (IGWC-2017) was hosted by India in New Delhi from December 11 to 13, 2017. The theme of conference was “Ground water Vision 2030- Water Security, Challenges and Climate Change Adaptation”. The Bihar government has launched Safe City Surveillance Scheme for checking crime against women. It aims to bring all major public places under watch of close-circuit television (CCTV) cameras.